The DFRduino Starter Kit (Arduino Compatible) is a great raw parts re-fill for beginners and weathered professionals alike. Included is a multitude of inputs, outputs, and sensors to get your workbench back up to par. If you're just getting started with Arduino. 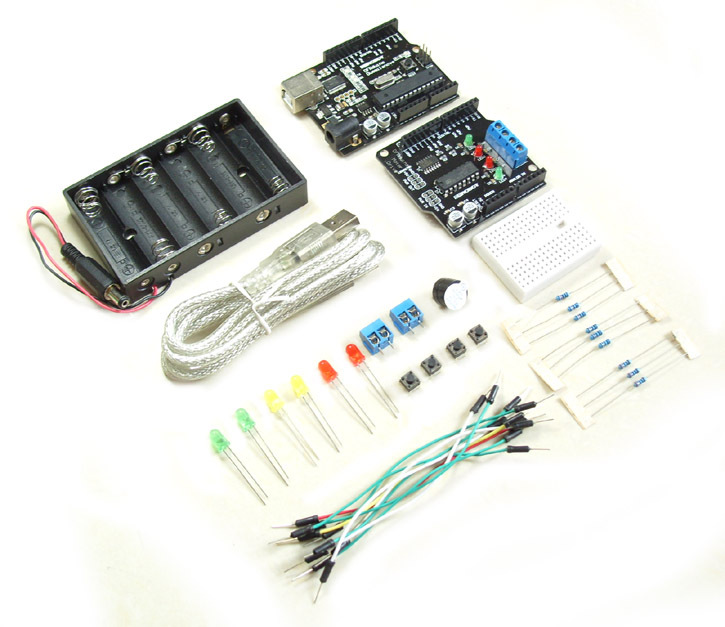 Get DFRduino Start Kit (Arduino Compatible) from DFRobot Store or DFRobot Distributor.